After the fall of the empire created by Napoleon, Europe had to reconsider its borders. This small plot of land of about 3.5 square kilometers between modern Germany and Belgium remained drawn. 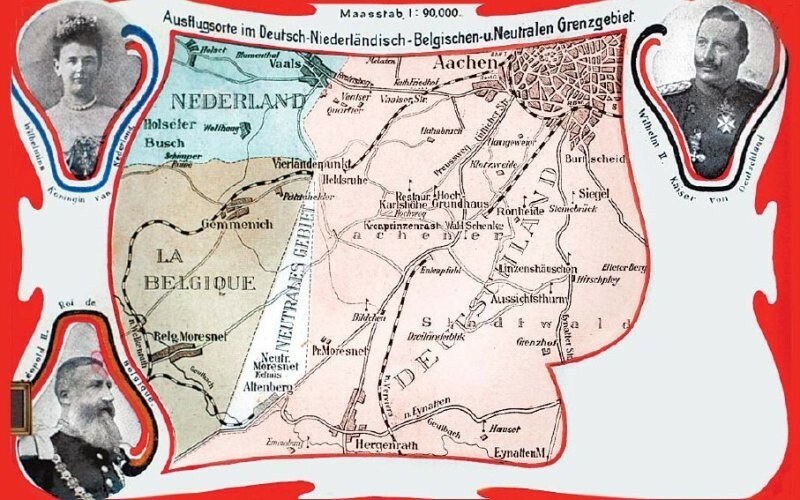 The resulting neutral zone was jointly managed by the Netherlands and Prussia.The state, whose residents were considered stateless, but which had its own flag and coat of arms, lasted until 1920. Then, after the World War I according to Treaty of Versailles Moresnet started belong to Belgium.